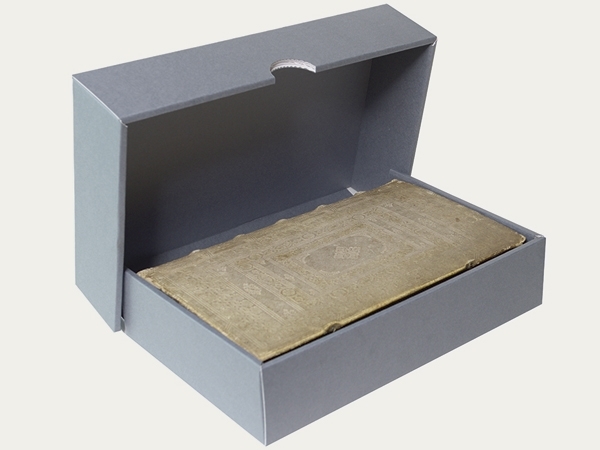 A KS 3 tightly closing clamshell box with textile (polyester) fastening ribbons. The ribbons can be attached individually. 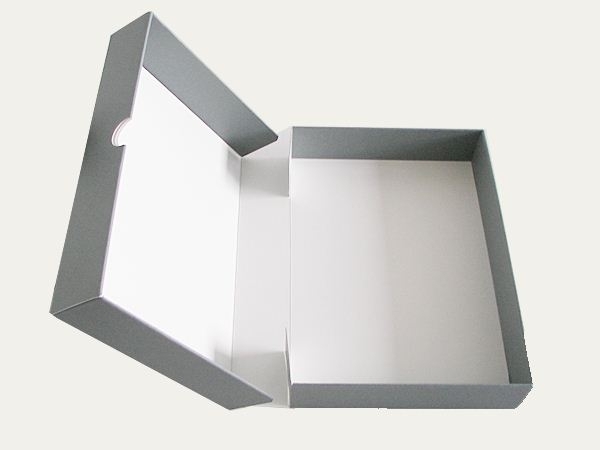 The box is made from corrugated board material, MW 1.7, 680 gsm, exterior box colour grey-blue/interior colour natural white. 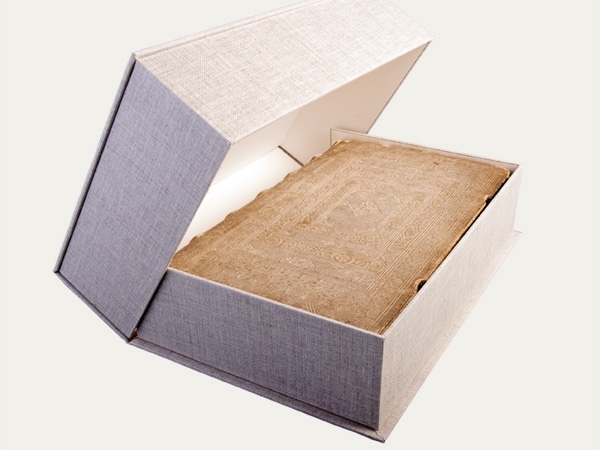 Ideal for the archival storage of books, files/folders, documents and two-dimensional objects. 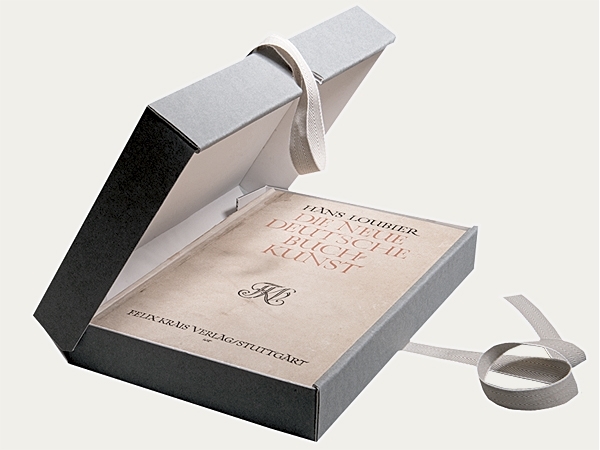 A tightly closing and finely constructed clamshell box especially designed for books and unbound loose objects. A complete foldable construction, with completely smooth interior and exterior surfaces. 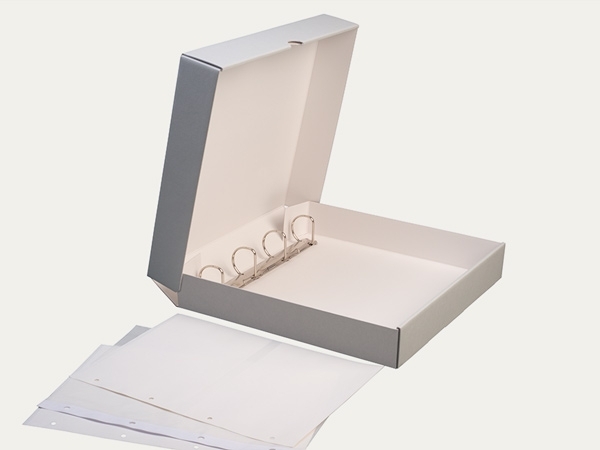 A tightly closing clamshell box with an extra stable roundabout six-fold walled construction for extremely heavy and valuable objects. Smooth interior and exterior surfaces. Available with or without ribbons. 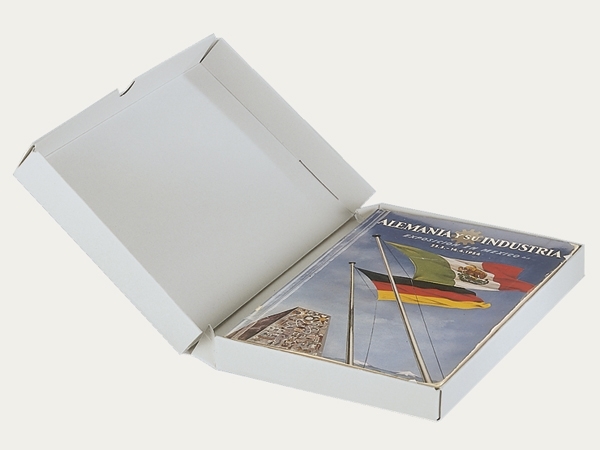 A tightly closing clamshell box with extra supports ideal for graphic collections. Smooth interior and exterior surfaces. 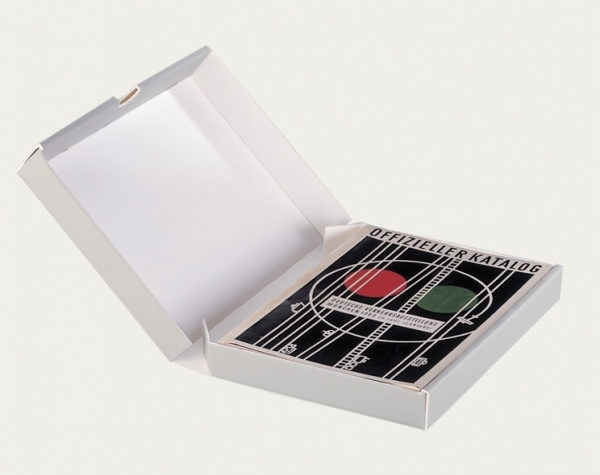 Roundabout eight-fold walled construction (closed condition of the box) provides additional strength. Additional base and lid support is also provided. 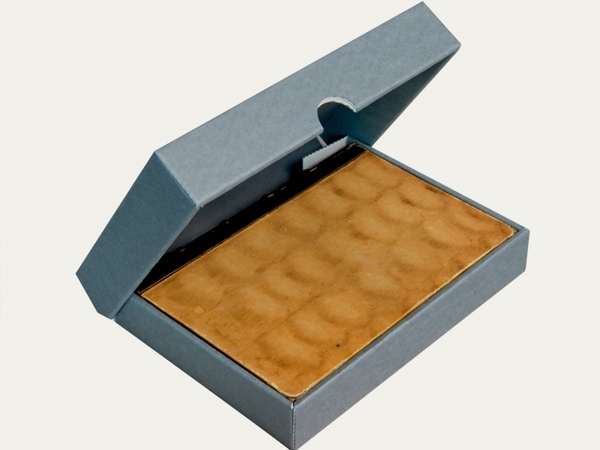 A tightly closing, premium clamshell box; a more elaborate version of the known "Solander Box". 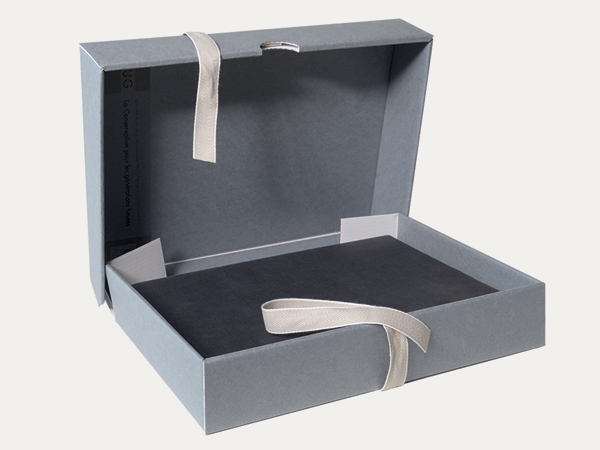 Manufactured whilst using the finest book binding methods, this classical drop-back clamshell box is produced from solid conservation board with a complete fabric lining. Special emphasis has been given to ageing resistant and environmentally compatible (less-polluting) materials.